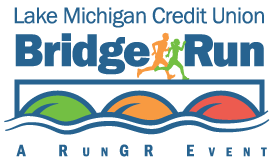 Have you made your plans for the LMCU 2017 Bridge Run? Featuring a 10-mile run and a 5K walk/run (including youth divisions), this event grows in popularity every year. The course winds through downtown GR, over historic bridges and through distinguished neighborhoods. Join in the healthy fun! Registration is now open at www.thebridgerun.com! LMCU members get a $5 discount. Enter code LMCUMEMBER2017 to activate your discount.